It's time for our Wednesday challenge over at The House That Stamps Built. 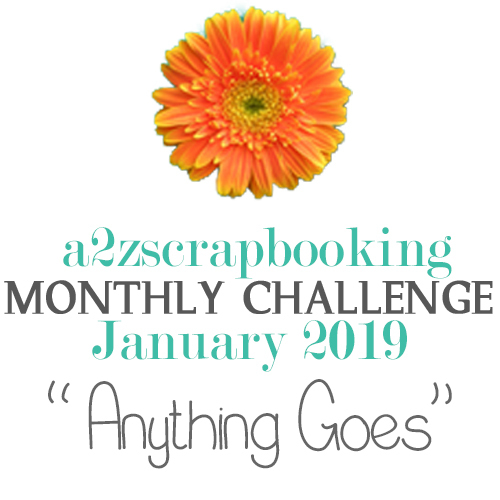 This week the theme is --- ANYTHING GOES! Since Valentine's Day is coming up soon, I decided to create a "Cheesy Love" card with one of Repeat Impressions mouse stamps. I used my circle nestabilities to create the holes for my cheese and inked around their edges with distress ink to make them stand out a bit more. Oh I am so excited - I have this mouse stamp and you know what I am going to do??? Well just probably "case" your Anything Goes for this week. Love it. This is way too adorable! Like the cheese panel and the heart panel to make it a Valentine's card, very clever!! Esther, this is such a cretive card! I love, love, love that front panel. It adds such interest to this adorable card. This is so adorable!! And what a fun way to open up! Your cheese is fabulous; great job! This is sooo cute, Esther. What a clever Valentine theme with the mouse and his heart-shaped cheese! Love the way you created the cheese and the hearts on the opposite panel look super cute, and I love the use of the labels dies - I haven't touched mine in years and you may have inspired me to dust them off and use them again! Great card! What a fun card, Esther! Love the sunny yellows! Thank you for sharing it with us at the Simon Says Stamp Wednesday challenge! Super cute fun fold card!! 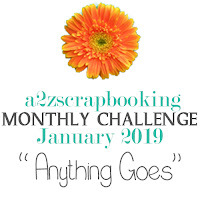 Thanks for playing along our January challenge at a2z. How sweet - a mouseful of love! I love fun cheesy cards. wonderful creativity. So glad you joined us at A2Z Scrapbooking.